DO YOU HAVE OCCASIONAL NEEDS? Occasionally need a plotter for your worksites? 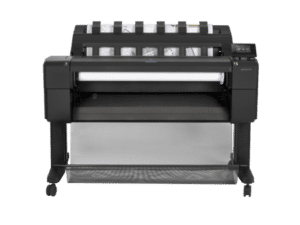 Need a plotter for an occasional event? Purchasing a plotter can be a considerable expense. That’s why opting for a rental is a good idea for any company wanting to save money. Choosing a rental allows your company to keep its cutting-edge equipment. Because renting is limited term, the rental period can be made to coincide with the replacement cycle you wish to maintain. Obsolescence depends on the number of people using the machine and the printing volume. You can also stay a step ahead of new technology and take advantage of the latest improvements. Unlike a purchase, renting spreads out the equipment’s cost. You can work with more advanced devices, which can boost your company’s efficiency and, consequently, profitability. Our team can advise you on choosing the plotter that meets your needs best. Printing on tarps can display information outdoors for many months without any deterioration. This type of printing ensures high-quality results due to its precision. Tarps are flexible, sturdy and appropriate for any use. Print Value will rent you a plotter at the best price. For a simple, economical solution, our range includes several models, from €54 to €159 per month. Our low-end A0 format plotter costs €54 per month, the mid-range A0 format plotter €69 per month and the high-end plotter €159 per month. You can also rent a multifunctional plotter for €209. Professionals rent plotters to boost their productivity. Renting and monthly payments will help you save money, increasing your return on investment. Plotters are mainly used in technical professions requiring accurate lines and high-quality large-format documents. They are used in a wide variety of professions, from construction to consulting, architecture, CAD and photography. 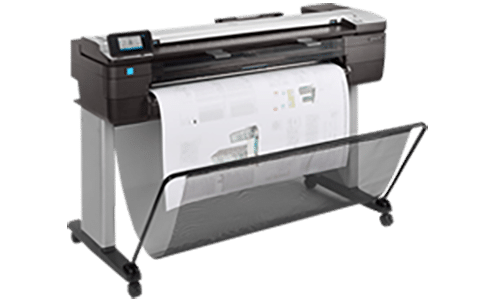 Our plotters’ combination of speed and quality images ensures professional results for printing all your technical documents, architectural drawings, graphics or maps. 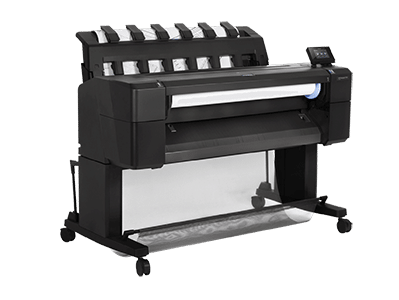 Depending on your needs, you can rent several plotters from HP’s DesignJet range. The fast, 47kg Designjet T520 A0 plotter can produce large-format, high-quality prints on photo paper, glossy paper, mat paper and rolls. Compatible with Windows and Mac OS, it has 128 MB of internal memory and is ideal for printing technical drawings. The Designjet T730 A0 plotter has a set of four black inks and meets the needs of the most precise projects due to a line accuracy of 0.1%. It boasts 1 GB of memory and a printing speed of 35s in A1 format. It is fast and reliable for CAD and GIS projects. 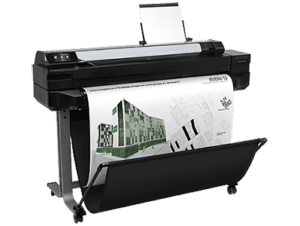 The high-end Designjet T930 plotter is ideal for the graphic arts industries, architects and building professionals. 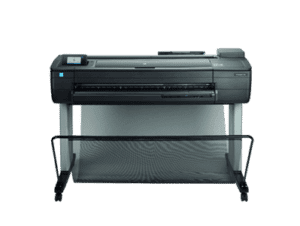 Our best plotter, it is fast and has 64 GB of memory.